Getting the hang of the grapple hook mechanics in this release is easy enough. 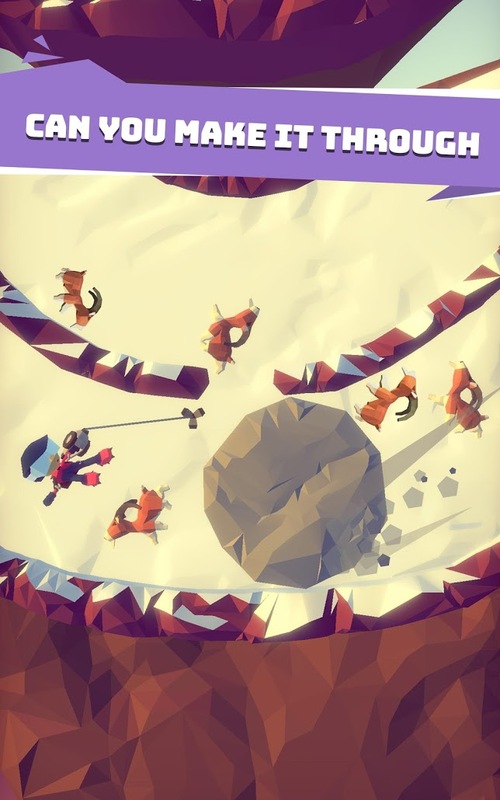 Just tap on the snowy bits of the mountain to swing your way to that area. By repeatedly grappling in a particular direction you'll move along with some speed. 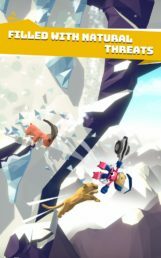 Many obstacles will stand in the way of your movement, including a few mountain-dwelling beasts that would love to tear you limb from limb. 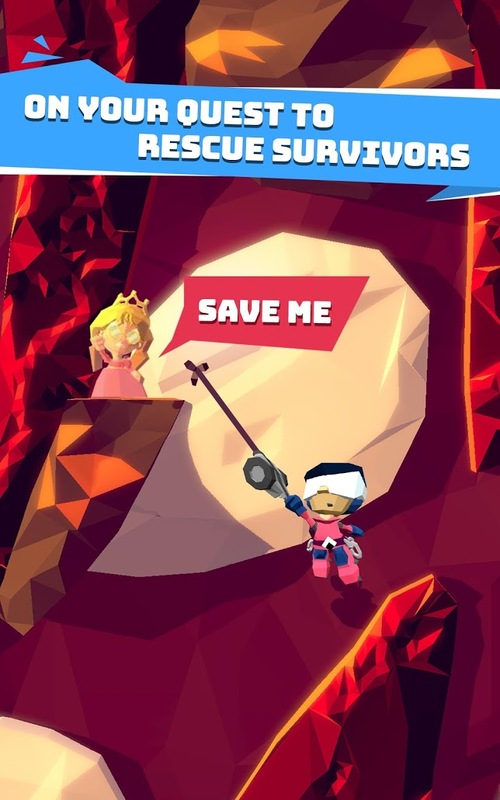 Your job is to reach the top of each mountain in one piece while also rescuing any survivors stuck on the snowy cliffs. It's a simple setup, but that's what keeps the gameplay accessible to casual players. 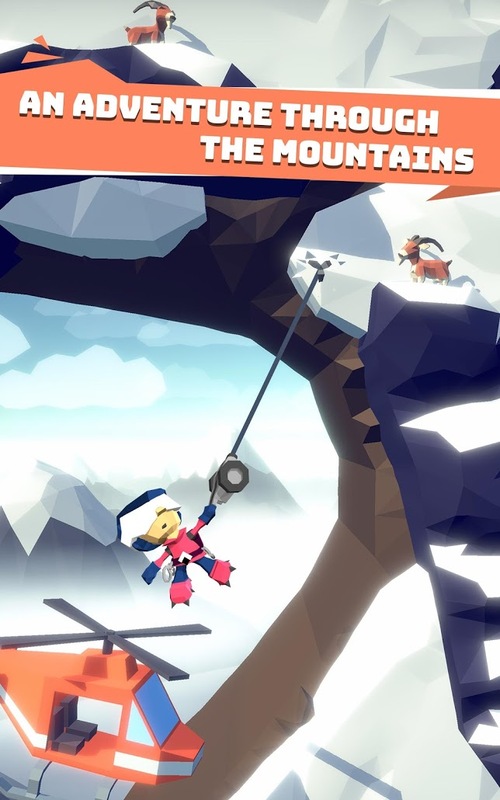 Hang Line: Mountain Climber is indeed a casual free-to-play release, but luckily the included in-app purchases aren't all that bad and only range up to $9.99 per item. There are advertisements in the game as well, but they can be removed by purchasing any of the available IAPs. There are only a few items in the shop that can be bought with real money, and they consist of in-game currency packs and a few power-ups. Everything else is purchasable with in-game currency that's earnable through gameplay. So unless you want to remove ads or unlock a few helicopter skins quickly, there isn't much of a reason to worry about the IAPs. All in all, I have to say Hang Line: Mountain Climber offers an enjoyable casual climbing game that's easy to pick up and play throughout the day. There are plenty of survivors to rescue that are scattered across fifty levels, so you'll definitely have your work cut out for you. If you're a fan of Yodo1's releases or are merely looking for something appropriate to play this winter season, Hang Line: Mountain Climber offers a good bit of fun without all of the headaches of similar casual releases.